Instructions to apply direct to cake: Place the stencil into the required position on the cake, holding gently but firmly. Apply the food colouring or spread the icing using an angled palette knife. Remove from the cake to reveal the design. Instructions to create a 2D Plaque: Roll out modelling paste (or a mix of 50% petal/florist paste and 50% sugarpaste) roll out to 2/3mm thick. Place plaque stencil onto the paste and repeat as above. 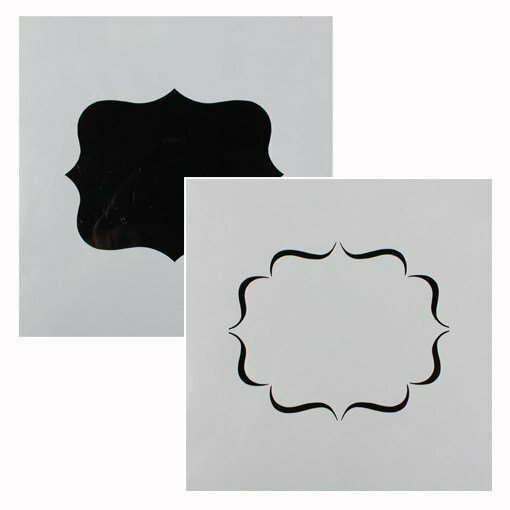 Cut neatly around the stencil shape or use a suitably sized cutter to outline the plaque and apply to the cake using edible glue.